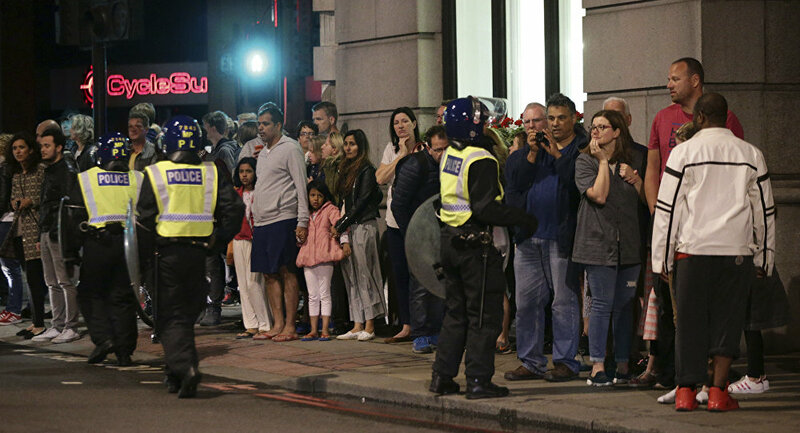 It is time for an honest conversation about Wahhabism, specifically the part this Saudi-sponsored ideology plays in radicalizing young Muslims both across the Arab and Muslim world and in the West, where in the UK people have just woken up to another terrorist attack in which innocent civilians were butchered and injured, this time in London. The US, British and French governments can no longer credibly claim to be serious about fighting terrorism or religious extremism while cozying up to what is a medieval kleptocracy in Riyadh. Just days prior to this terrorist attack in London it was reported that a UK government inquiry into the role of Saudi money in funding terrorism is likely to be shelved, due to the sensitive nature of its findings. The report was originally commissioned at the behest of the Liberal Democrats, while in coalition government with the Tories back in 2015. It was sanctioned by then Prime Minister David Cameron in return for Lib Dem parliamentary support for British airstrikes in Syria. Given that the British government just signed £3.5 billion (US$4.51 billion) worth of arms export licenses to Saudi Arabia, the suppression of the report's findings is nothing short of a scandal. The Saudis have long enjoyed diplomatic and political support from successive British governments, based on its largesse as the biggest customer of UK arms sales, which according to the UK-based organization, Campaign Against the Arms Trade (CAAT), has been worth £4.1 billion (US$5.3 billion) since 2015. Some of the weapons sold to the Saudis are being used in its on-going war in Yemen, where its forces have been engaged in war crimes and crimes against humanity. There are also the billions in Saudi investment into London, especially in the city’s lucrative property market. Money, as everyone knows, buys influence, including political influence, which is where we discern the pristine and unalloyed hypocrisy involved in demonizing Russia, Syria, and Iran, the countries that are in the front line against this medieval poison, while courting Saudi, Qatari, and other Gulf State business and money, where state-sanctioned imams spew out hate speech against "apostates" and "infidels" on a regular basis. The most concerning development in recent years, however, vis-a-vis Saudi influence in the West, is the extent to which Riyadh has been funding the building of mosques as a way of promoting its ultra-conservative and puritanical interpretation of Islam, one completely incompatible with the 21st century. "We have to make clear to the Saudis that the time of looking away is over. Wahhabi mosques all over the world are financed by Saudi Arabia. Many Islamists who are a threat to public safety come from these communities in Germany." Religious sectarianism and rigid adherence to an anti-human 7th-century doctrine underpins what passes for justice in the kingdom itself. We are talking a country in which people are regularly and ritually beheaded, flogged, and even crucified for daring to deviate from the law. In 2016 alone, the state carried out 154 executions, many of those for non-violent crimes. Yet, regardless, for those who claim the mantle of democracy and human rights, slavishly defending the kingdom and its vile and barbaric practices has long been a received truth. Let us be clear: Britain's longstanding alliance with Saudi Arabia benefits nobody apart from UK arms companies and their shareholders. It is undeniably an alliance inimical to the country's security, bringing its entire political establishment into disrepute as a consequence. Three terrorist attacks in the space of three months carried out in the UK, in which civilians have been slaughtered, is an unacceptable price to pay for a foreign policy which at best is informed by cognitive dissonance and at worst sheer unadulterated mendacity. Make no mistake: the head of this Salafi-jihadi snake resides in Riyadh.